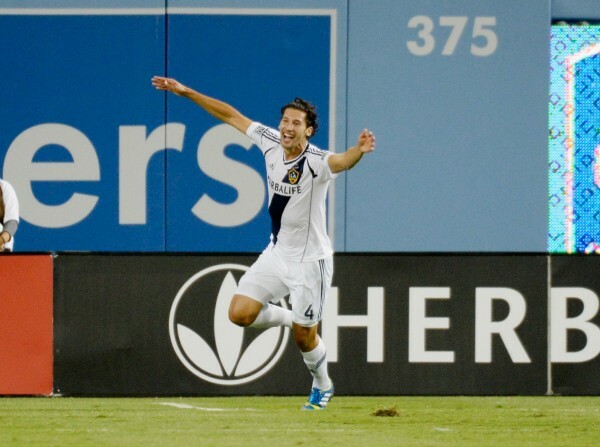 The LA Galaxy announced today that the club has agreed to a new multi-year contract with defender Omar Gonzalez. Under the terms of the new deal, Gonzalez will become the Galaxy’s third Designated Player, joining Landon Donovan and club captain Robbie Keane. The first defender to be a Designated Player with the Galaxy, Gonzalez first joined the Galaxy in 2009 when he was selected by the club in the first round (third overall) of the 2009 MLS SuperDraft. The 24-year-old has appeared in 119 regular season games since joining the Galaxy, scoring six goals and adding five assists in that time. Since his arrival, the Galaxy are 64-23-32 in regular season games in which Gonzalez appears compared to just 11-16-5 in the games that he misses. According to the club’s press release, that means that the Galaxy have taken 62.7 percent of the available points with Gonzalez in the lineup compared to just 39.6 percent of the available points in games that he misses. Gonzalez is just fourth defensive-type DP, following keeper Frank Rost, defender Rafa Marquez and defensive midfielder Julian de Guzman. Seeing yet another young American player stay in the league and get paid well in the process is a great sign of growth that the league is going through. Gonzalez is also now the third American DP currently playing in MLS.